Jorma Taccone made his 2010 directorial debut with a little movie called MacGruber, spinning the Will Forte-starring, MacGyver-spoofing Saturday Night Live bit into a delightfully absurd feature film. It looks like there’s more where that came from, as Taccone first revealed to The Daily Beast last week: There’s a MacGruber streaming series in the offing, with the film’s entire principal cast attached to reprise their roles. That of course includes the man himself, as played by Forte, who took to The Tonight Show on Tuesday to not only confirm the project’s existence, but also to offer viewers a brief preview of what he and Taccone have been working on (and pitching to streaming services). Casting Jimmy Fallon as Kristen Wiig’s Vickie St. Elmo, Forte acts out a scene from the project that redefines the term “R&R” in a “high-minded and complex” way, as Forte puts it—a scene, he adds, they’ve pitched to would-be backers (“We said that in a room! To people in suits!”). We’ll be glad if at least this one good thing can come out of the cancellation of The Last Man on Earth. 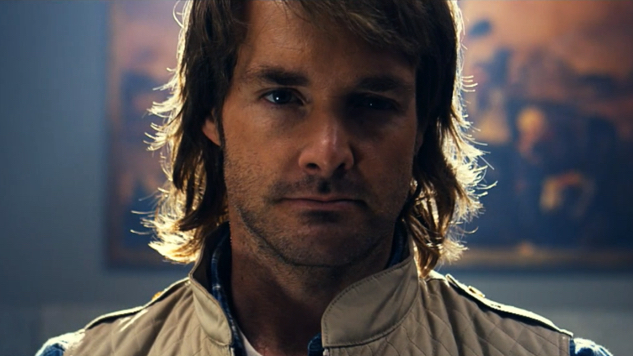 Forte’s silliness belongs on our TV screens, whether on network TV or some savvy streaming service with the wherewithal to give MacGruber a home. Watch Forte’s Tonight Show appearance below and stay tuned for more on the return of the throat-ripping, bomb-defusing, Cunth-pounding hero we need right now.